It was one year ago today that I started using my first Field Notes notebook. It all started with a pack of three “Pitch Black” dot-grid memo books while I was on holiday. 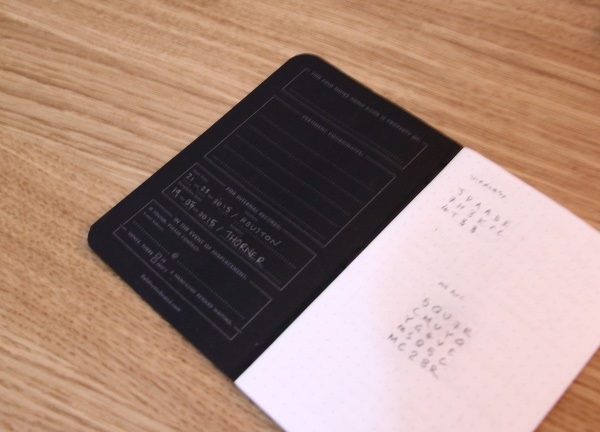 I’d heard such good things about these small, creative, and well-designed notebooks. I wanted to try them out! The first book took me quite a while to finish but after a while I got more comfortable with using them for anything I wanted to write down. 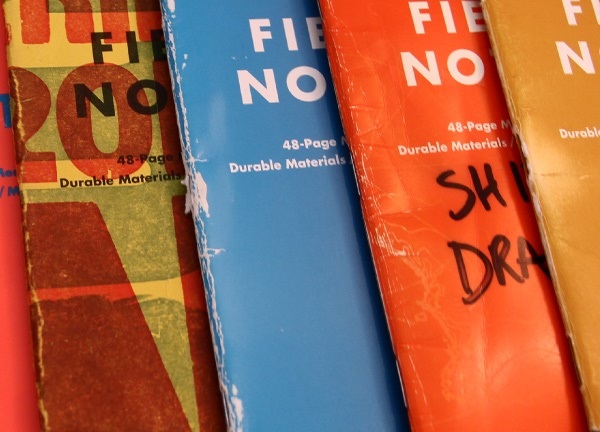 After that I was hooked and I signed up for the Field Notes COLORS subscription service. Through this service the good folk over at Field Notes HQ in Chicago, Illinois will send fresh designs to me on a quarterly basis. Over the year I have used 22 notebooks and enjoyed each one in their own way. I have used a mixture of stock editions, COLORS editions, collaborations, and rarer limited editions. 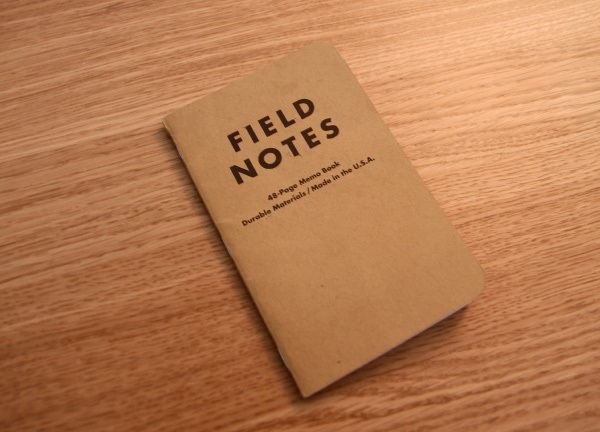 Some of my favourite designs have been produced by the Field Notes creator and well-known designer Aaron James Draplin. Before using Field Notes I would use larger Moleskine notebooks for things I knew I wanted to keep, and additional loose A4 pages, or Index Cards, or any other kind of random notebook. Now I have standardised on Field Notes I take a lot more notes, and I keep them all when I’m done. They’re well integrated into my Analogue Note-Taking System too, so I always have them with me. 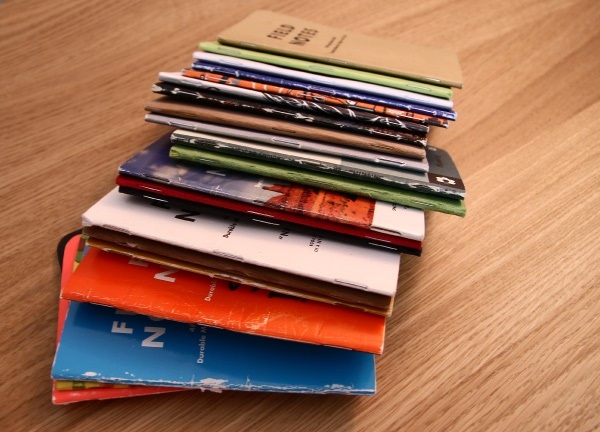 As the notebooks are a great size at 3½″ × 5½″ and 48 pages, they feel like they can just be used for anything. I don’t worry about folding them over or stuffing them in my pocket; they’re special but not too special to use. They’re just right. 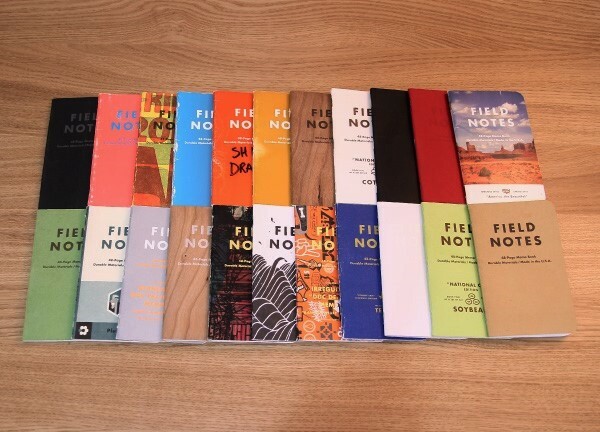 You can read a little more about why I like Field Notes in this post from June 2015, but essentially I find them to have great physical dimensions and they only look better after being used. The many variations keep me interested and encourages me to write things down regularly. It wasn’t deliberate but I find it funny that the last book I started in the year was the most generic edition you can get*. * Though I am sure fellow Field Nuts will notice the lack of the ® symbol on this notebook – it was printed in 2012, before they registered the trademark.